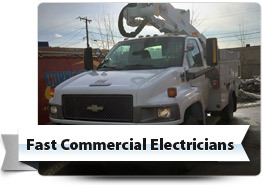 For commercial and industrial electrical solutions for your Southern New Hampshire & Northern Massachusetts business, you can rely on the specialist commercial team at Cornerstone Electrical. 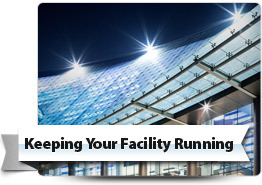 We’re experienced in providing precision electrical solutions fast to keep your business operating smoothly. 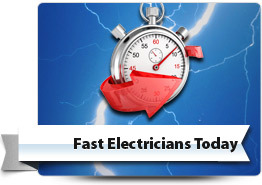 We’ll be at your location FAST, TODAY to perform emergency electrical repairs. Our electrical teams are available around the clock 24/7, 365 days per year for your convenience and will help limit disruption to your standard operating schedule with quality solutions FAST! Our highly experienced and qualified electrical team understand the importance of providing the right solution fast to suit the specialist needs of various commercial industries. We can help with all your electrical needs, large and small, and have experience providing electrical services to a variety of industries including retail, office, restaurants, facilities management, medical, schools, warehouse and industrial. No matter what business you’re in, we can help with quality electrical services to suit your needs. We’ll help with solutions and installation of lighting to suit your commercial requirements including parking lot lighting, security and safety lighting as well as practical and design lighting solutions. We provide expert advice on the best layout and quality installation of new wiring and re-wiring solutions to suit the specific needs of your business and industry including medical, school, retail, industrial and offices. 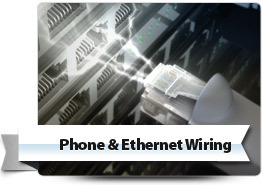 We’ll expertly install all your communication wiring for telephone, cable and data services. If you need more sockets, we can install additional sockets or move them to more convenient locations. Reduce the chance of damage to your systems and data records by protecting them against power surges. With a professionally installed surge protector, the moment an irregularity in the power supply is detected, the surge protector shuts the power off so all your equipment and wiring is protected. Keep your essential electrics operating if a power outage occurs with a back up generator to suit your electrical demands. We can assist with a range of generators to suit all commercial capacities large and small and ensure suitable power to keep your communication, data and security systems, refrigeration, production line, medical equipment and all your essential services operating. When the main power goes out, your generator will auto start and provide you with a seamless transition to back up power and switch back off once the utility supply is restored. Protect your business from the damage of smoke or fire with early warning by having a fire and smoke alarm professionally installed and wired in to your mains. We’ll provide all your electrical solutions to suit your business’s needs when you move into new premises that require a change of use refit. Ensure your company’s electrics are operating safely and book a professional electrical inspection. We’ll let you know and perform any repairs or upgrades required to bring them up to safety and code compliance. 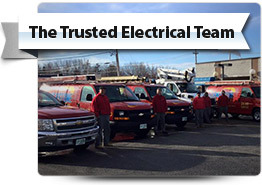 For expert electrical services and solutions to suit your business’s needs across Southern New Hampshire & Northern Massachusetts, call and book a service with the experienced electrical team at Cornerstone Electrical today.